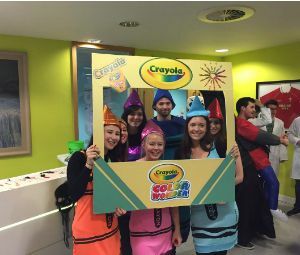 The world of work can be pretty scary – adulting, responsibilities, colleagues dressed like killer clowns. 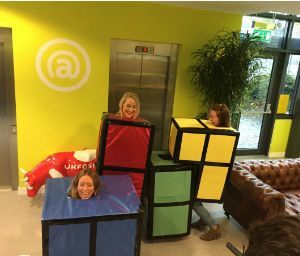 Today is Halloween, aka the best day of the year, and if you know the UKFast brand at all you’ll be aware that we do our best to kill it every October. And also eat a lot of cake. 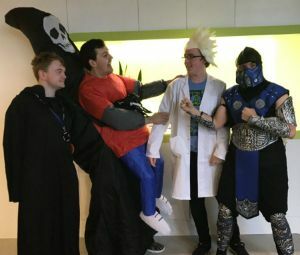 On Friday we had our Halloween spooktacular extravaganza, so today we’re going six feet under on why the team that screams together stays together. 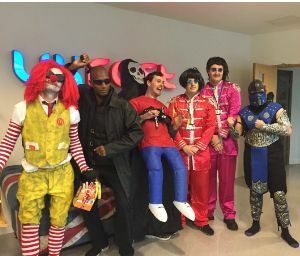 Every Halloween I’m terrified that I’m going to be the only person in the office who dresses up, and every year the UKFast team hits the (coffin) nail on the head and pulls out all the stops! Pretty much the entire company gets dressed in their finest and spends the day working in full horror getup. Nothing says bonding like dressing up as the Hogwarts crew for the day. 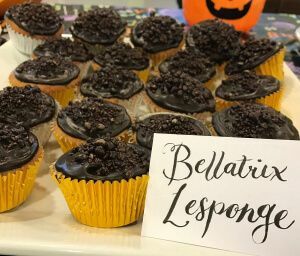 But it’s not just about looking like a wally and pretending to be a wizard for 24 hours – everyone also bakes for Caketober, an event created by theEword and Forever Manchester. 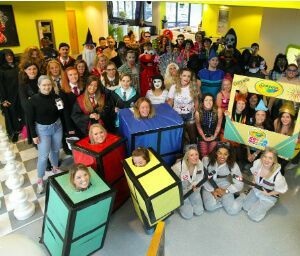 The two companies wanted a day along the lines of Children in Need that got people into the habit of raising money for Forever Manchester each year. So of course they picked the best of all the days; Halloween. They decided to do it as a bake sale because CAKE, and of course, us being us, we wanted to get stuck in and help! Days like this might just seem like a bit of fun but it’s a great way to get everyone together, have some fun and raise some money for a good cause. 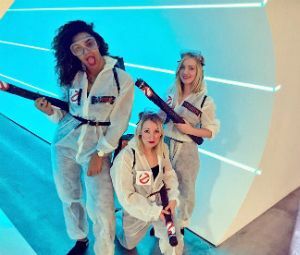 Here are a few of our scarily good outfits – we hope you have a frightfully good day!